It was a closely contested 1st round in the Bermuda Mixed Foursomes Championship at Turtle Hill Golf Course. 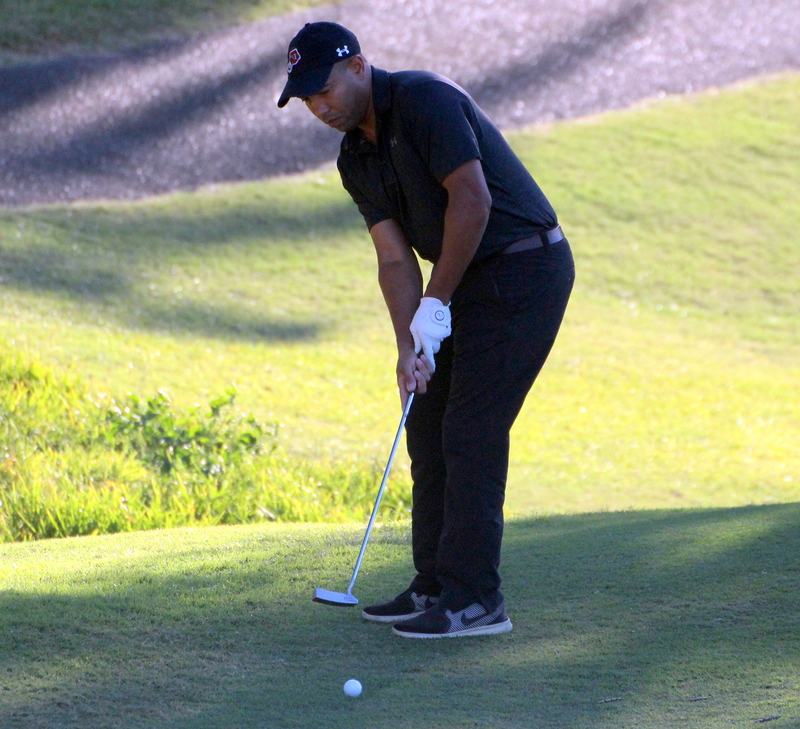 In the Best Ball format, three teams finished on 2-over par 56 those included the defending champions Damian Palanyandi & Katyna Rabain who are tied with Wayne and Lesley Balcombe and Jevon Roberts & Liz Carpio. There are three other teams who are only 4 shots back and with the challenging Pinehurst (alternating shot) format in Round 2 the lead is open to several teams.